The Young and Happy Rooster. Chicago: Albert Whitman & Co., 1934. ￥3,500 (税込み) 21.6 x 15.2 cm. 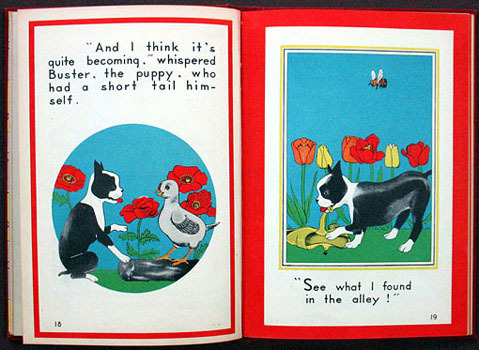 64 pp., with text in large letters and illustrations interspersed throughout the words, some full-page color illustrations. Red cloth, pictorial paste-on label on frontcover, colorful pictorial endpapers.